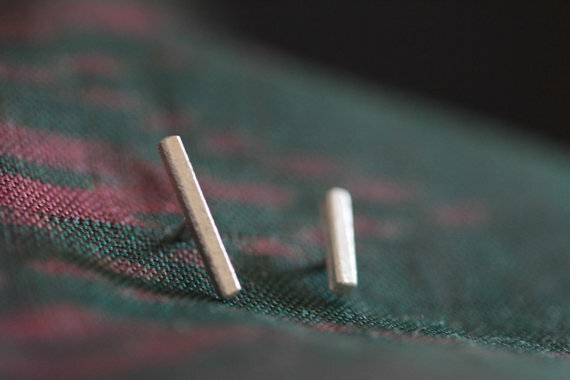 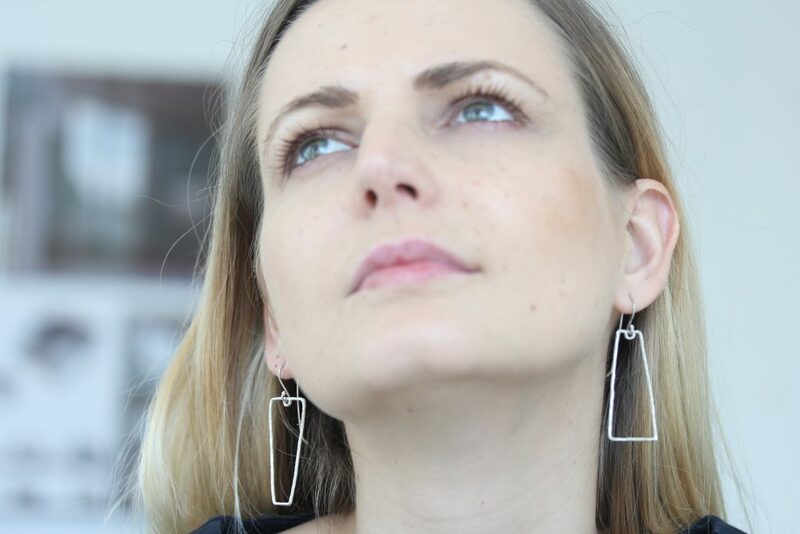 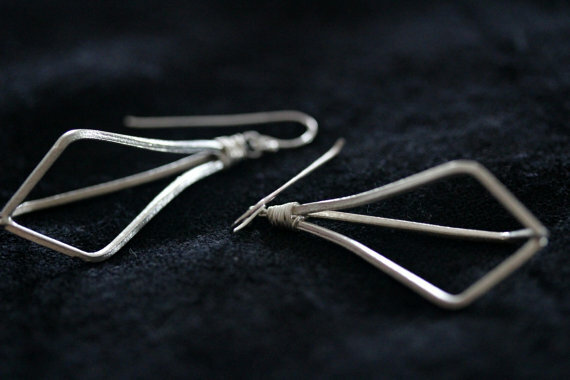 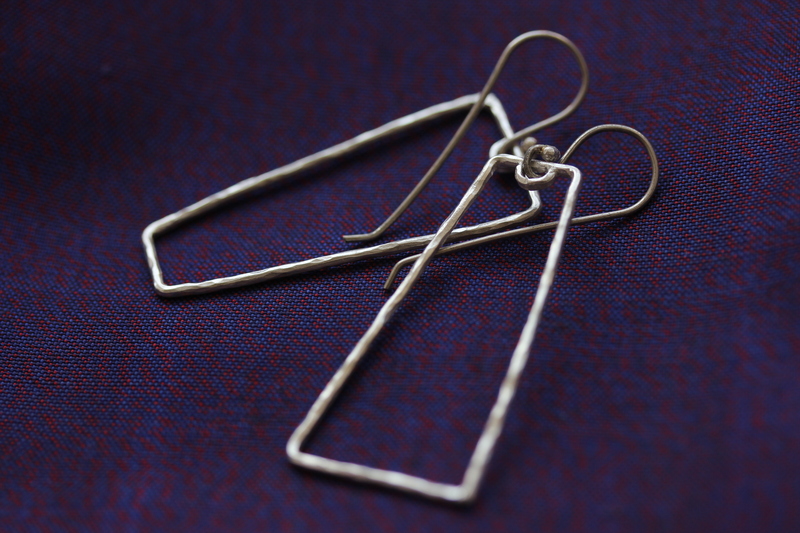 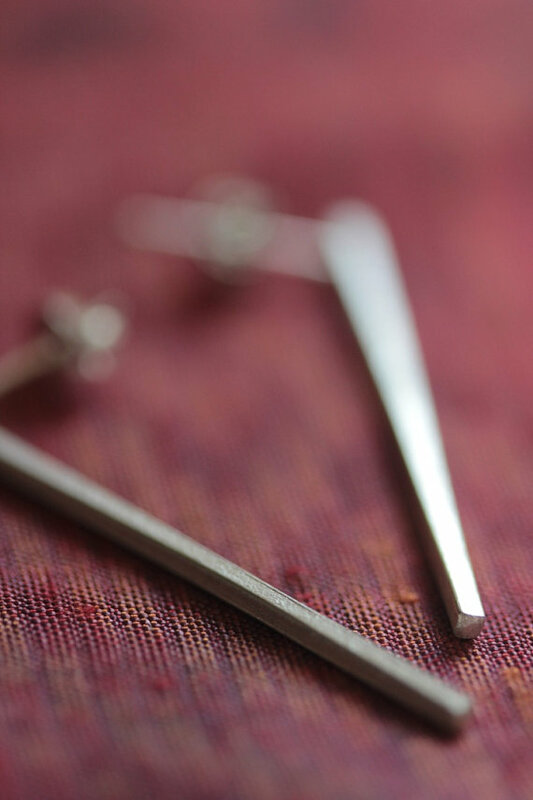 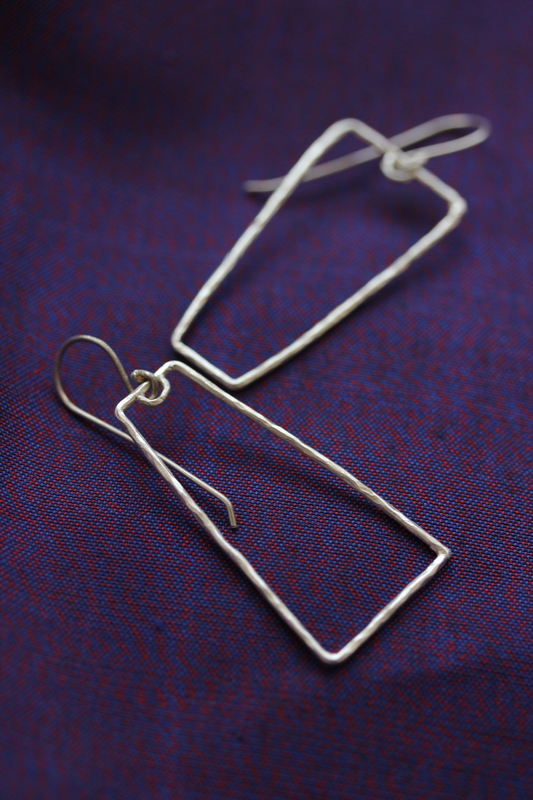 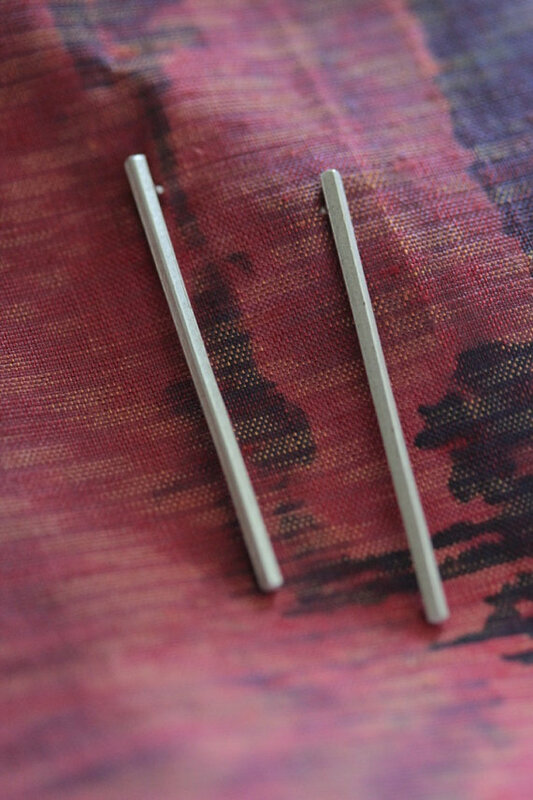 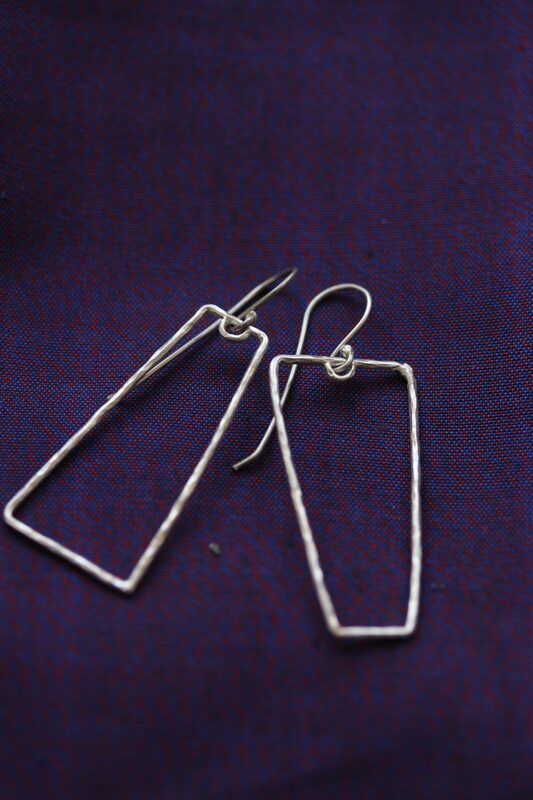 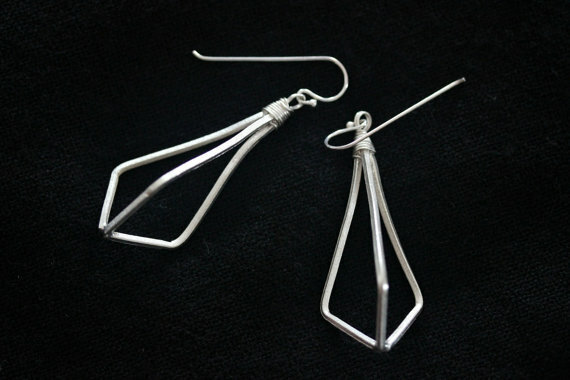 These “opposite” earrings are created from a long silver wire with 1,5 mm round profile, that has also been hammered on the surface from all sides before curving it into trapezoid shape. 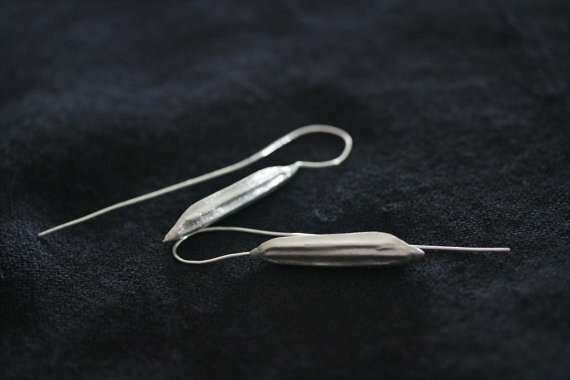 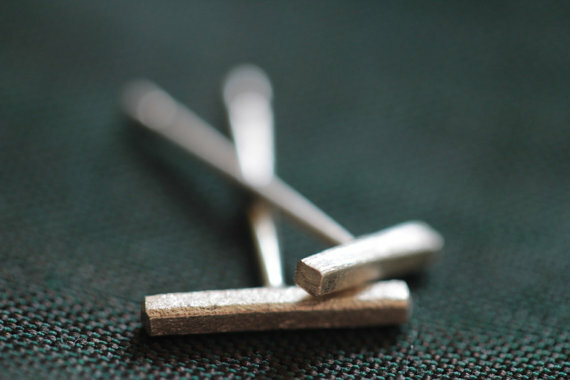 The hook is in sterling silver and is attached on short size of one earring and on longer on the other in order to create an “upside down” pair. 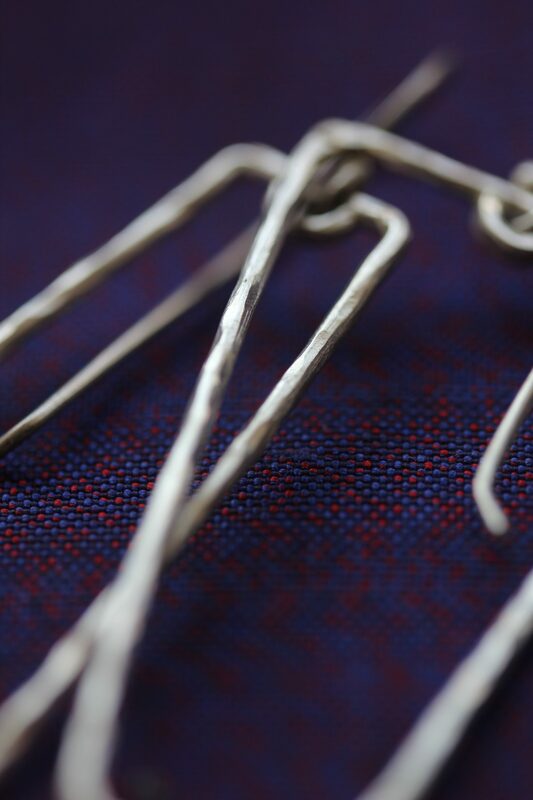 They are simple, modern, extremely lightweight, with a beautiful surface texture.